Taxi Kiel gets you there - always. We offer many individual services for this. Fast and reliable from A to B – not only for passengers: with the courier service of Taxi Kiel, we will also gladly transport other things that fit in our vehicles, for private and commercial clients. From documents, important replacement parts and medicines, right up to mirrors. Taxi Kiel delivers! Also important documents and similar. And, on request, we will also gladly take care of the weekly shopping for you and bring it to you at home! Shopping tour withTaxi Kiel: our service makes shopping easier! We are wide awake for you around-the-clock. So we're also helping you to get to important deadlines punctually, in the night or early morning. And before Taxi Kiel arrives, on request we wiil ring you shortly before so that you can get up in good time. Free of charge, of course. A pleasant journey already starts at home with you! The fetch and bring service of Taxi Kiel comes to the door, helps you with the luggage and brings you reliably to the door, helps you with the luggage and takes you reliably to Hamburg airport. With more than 3 passengers it's even cheaper than the train! Upon request, we can also pick you up again. 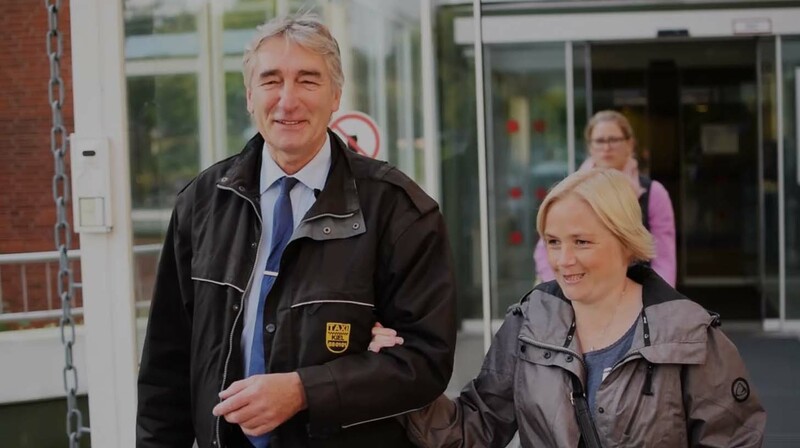 Even if you rely on patient transportation due to medical reasons, Taxi Kiel will gladly offer you advice and support - already in advance. For there is a lot to consider in the authorisation and settlement by your health insurance company. You can find the most important information here. We will gladly drive you, precisely when you can't! 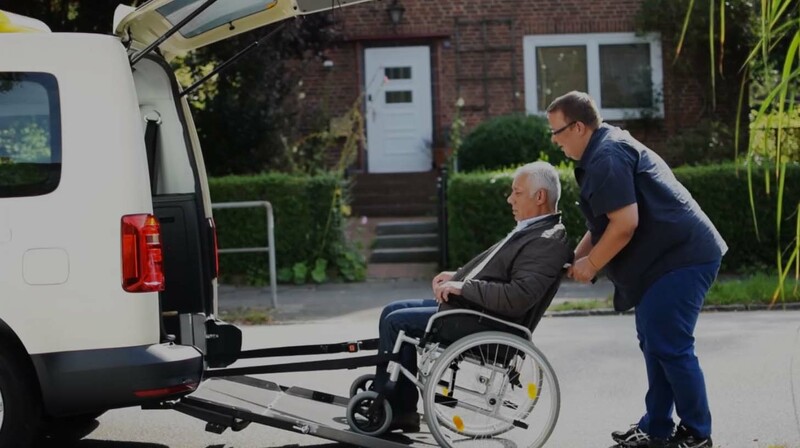 Taxi Kiel has several vehicles adapted for wheelchairs available for you. These are easily accessible via a flat ramp; the passenger can be safely transported sitting in the wheelchair. Please order in good time so that in any case a vehicle is available for the date you require. We move you forwards with especially equipped vehicles. In co-operation with the tourist information office we present Kiel and its surroundings in a quite different way - with comfortable vehicles and your entirely individual desired routeund Ihrer ganz individuellen Wunsch-Route oder or following the suggestions of our drivers trained as city guides. Also, of course, with friends in the taxi services in the greater surrounding area. And also in Lübeck! We show you Kiel on a special tour! Groups of 5 to 8 people don't need to take two vehicles with Taxi Kiel. It is much cheaper and more companionable with our people carrier taxis. 5 - 6 people can comfortably fit in an Opel Zafira or Toyota Prius Plus ; 7 - 8 passengers enjoy the space in the Mercedes V-Class or in the VW T5. As these vehicles are more expensive both to buy and to maintain, they are more expensive than the traditional limousines. There is an extra charge of € 6.00 for transporting 5 - 8 people. You can even go on a long journey with Taxi Kiel! Upon request with our partner company we can provide one or several coaches with up to 50 seats. All, of course, conveniently equipped with WC, galley, refrigerator, DVD and reclining seats. A comfortable journey for the children : All Taxi Kiel vehicles have at least a standard seat booster seat for bigger children. We also keep seats for smaller passengers at our main office. You can use them free-of-charge; depending on the pick up address, however, there may be a charge for the extra part of the journey to the main office. If your teenagers are already wanting to go to the disco, we will happily make sure that they get there and back safely – even if it's late, of course ! Tip: consider a gift voucher! Taxi Kiel will get all revellers safely home. Taxi Kiel will also gladly take a pet. It's important that we can secure your pet in the vehicle in accordance with statutory regulations. The passenger must bring the relevant transport box or safety belt. We request that you make an advance booking as many drivers may have an allergy. The Taxi Kiel fleet of cars will take you safely to your desitination. 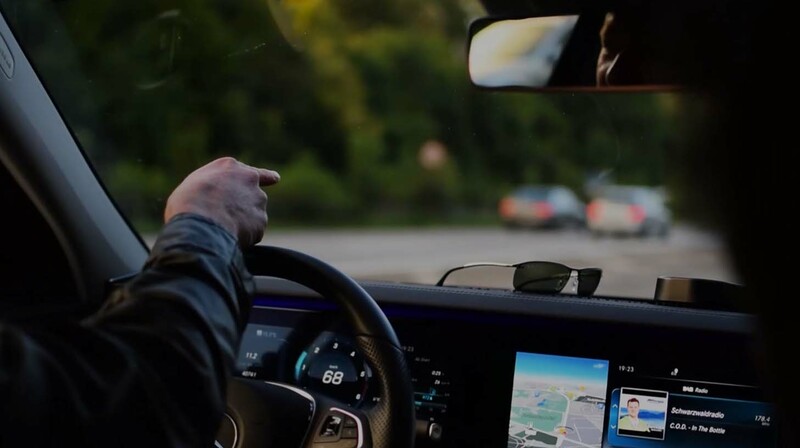 With around 140 limousines, estate cars and people carriers (for up to 8 passengers) and disability-adapted vehicles we can meet all mobility requirements reliably and comfortably – also with especially environmentally hybrid and natural gas vehicles. Ask for them when you make your booking by telephone – we will gladly send the vehicel of your choice! Yes, gladly! Please state when you make the booking that you would like to pay by card. Then we will send a taxi that caters for payment in this way. How do I recognise a taxi that's authorised for passenger transportation? - The serial number (black on yellow) is clearly visible, affixed at the bottom right in the rear window. - A company sign is clearly visible, affixed in the vehicle. - The taximeter is switched on. Are pieces of luggage included in the fare? Yes, you can bring luggage free-of-charge. Do I always have to get into taxi at the front of the line? No. You can get into any taxi you like at the taxi stand - for example, one from Taxi Kiel. Precisely when you need a specific service (people carrier, card payment). Always on the move for you. On the way spontaneously, flexibly and quickly in Kiel and the surrounding area. We make that possible for you: with around 140 comfortable taxis, vans and - on request - coaches, we take you always exactly where you want. We are usually with you in 5 - 10 minutes. Up to 2000 times a day. On 365 days a year. Around-the-clock. We know from more than 50 years of experience where it's happening in this regional capital. Our modern fleet of vehicles means that we can be on the way to you quickly and efficiently. Our drivers are well trained and are available with full commitment for each passenger. 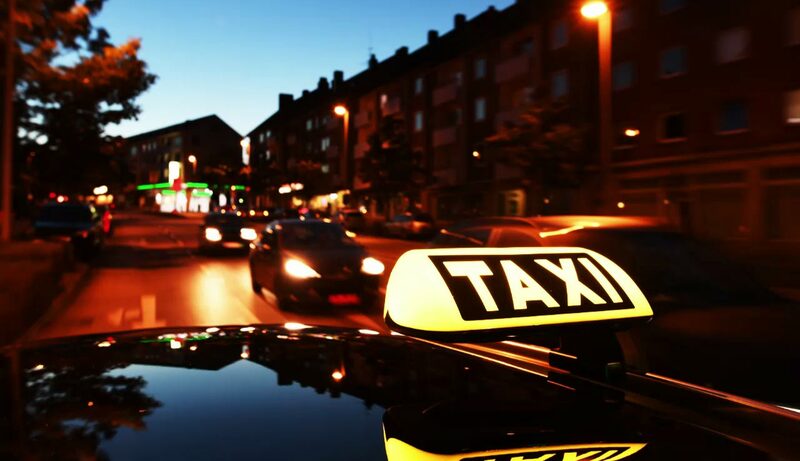 Finally, Taxi Kiel is a cooperative, so that each one of the drivers bears their own responsibility, but is also part of a reliable mutually supportive group. As a strong collective with approx. 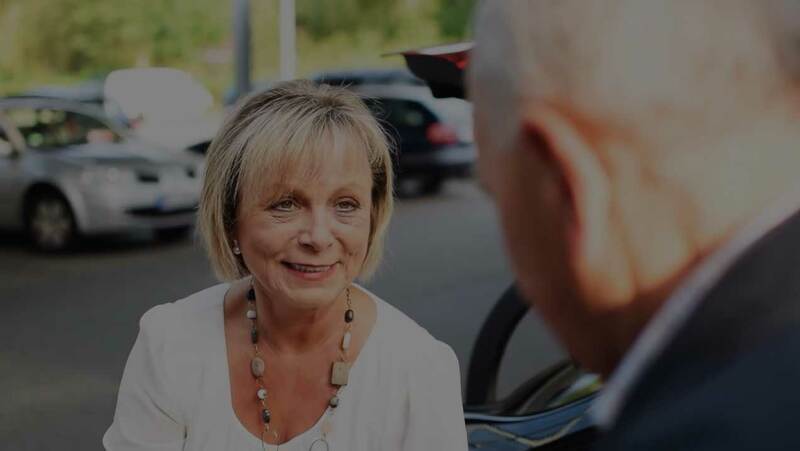 90 members we can also offer you, in addition to a normal taxi journey, complete mobile services for private customers and companies – fully in accordance with your personal requirements. Ranging from an alarm service to a shopping service to a city tour: we can put many things on wheels for you.